Nokia on Monday announced that it will provide its Nokia Location Platform (NLP) service, which includes maps for nearly 200 countries, to Oracle users. The agreement will allow Oracle users to license NLP for use in Oracle apps. "Oracle is the only systems provider that delivers integrated location and mapping capabilities in every layer of our technology stack. Oracle and Nokia have a strong record of meeting business needs through scalable and flexible capabilities," said Jim Steiner, Vice President, Product Management, Oracle Server Technologies. "Few data providers have the ability to provide both map data for analytics and integrated platform services for the creation of mapping applications in one solution. Nokia is the only provider of both map data and online mapping services that are integrated with Oracle products." Oracle said it believes the agreement will allow it to provide the "best enterprise-class map in the market" and that the solution will help "businesses save time, money and resources while allowing them to gain a geographic perspective on their business, enabling better decisions." NLP is available to Oracle users today. 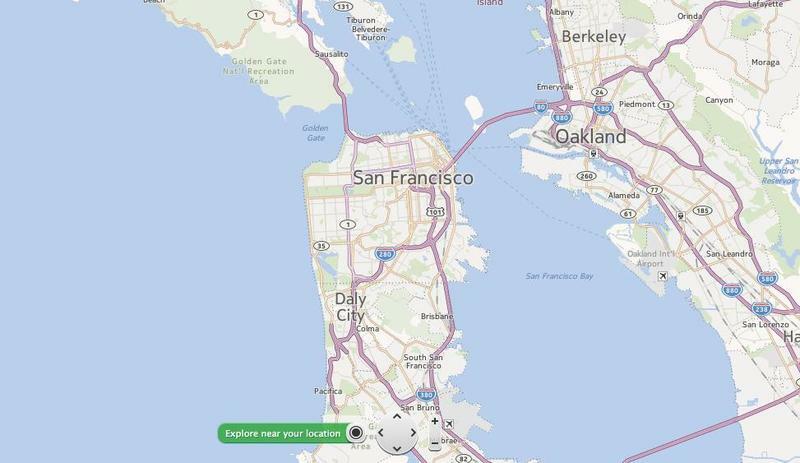 Sunnyvale, CA and Espoo, Finland – Nokia announced today that Oracle has developed a simple, built-in link between Oracle Fusion Middleware MapViewer and the Nokia Location Platform (NLP). This link removes the barrier of a customized map integration and extends the benefits of global maps for business use to Oracle users. NLP provides maps for almost 200 countries. By integrating NLP with Oracle applications, maps and business data can align to one consistent, accurate map on a worldwide basis. Oracle users will now have opportunity to license NLP from Nokia for use in Oracle applications. Oracle Fusion Middleware MapViewer is a J2EE service for rendering maps and creating mashups using spatial data. Oracle Fusion Middleware MapViewer provides services and tools that hide the complexity of spatial data queries and cartographic rendering, while providing customizable options for more advanced users such as developers of geographic business analytic applications. The integration of NLP allows users to easily include Nokia's map data into their Oracle business applications. "The inclusion of the Nokia Location Platform into Oracle Fusion Middleware MapViewer is an important proof point of our leadership in providing the best, enterprise-class map in the market," said Roy Kolstad, Vice President, Enterprise Americas, Location & Commerce, Nokia. "NLP is an advanced location platform with a unique global footprint based on industry-leading technology and more than 30 years expertise in mapping. It will help businesses save time, money and resources while allowing them to gain a geographic perspective on their business, enabling better decisions." Oracle users worldwide have access to this capability today. For more information, please visit: www.oracle.com. Nokia Corporation is a Gold level member of Oracle PartnerNetwork.